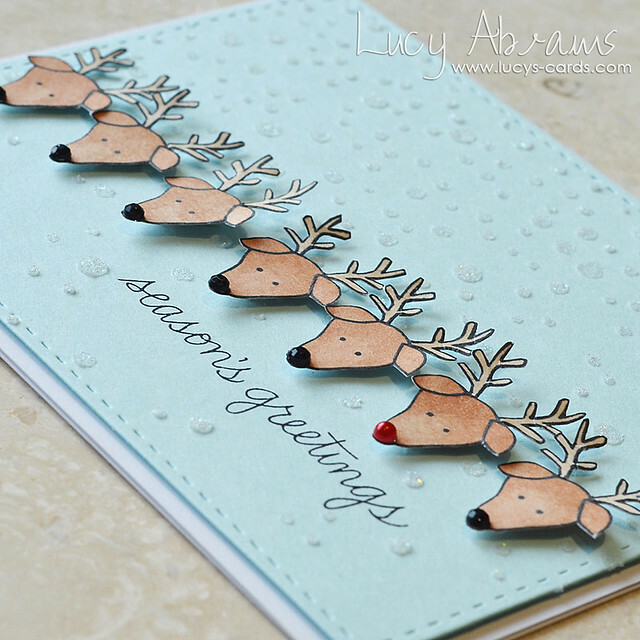 Today I have a fun card to share which I created with a cute reindeer stamp from Simon Says Stamp's Sweater Words and Appliques stamp set. I coloured them with Copics (I am totally USELESS at Copic colouring… but I tried.) Then I gave my reindeer gemstone noses and adhered them over a Falling Snow stencilled background to which I applied translucent embossing paste mixed with fine white glitter (see here for a video on this technique). This is so adorable with all the reindeer heads, Lucy! Did you actually cut all of them? Wow, this is quite a PARADE! !Gorgeous snowy background! Love it Lucy! Sooo cute! Wow - that's a lot of fussy cutting!! ADORABLE! 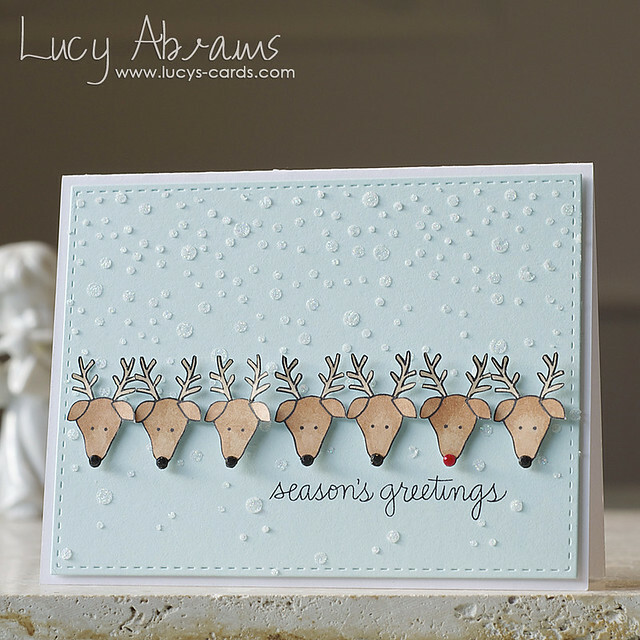 Love the snowy background and how the one reindeer has a red nose!! CUTE!